Its been unfortunate and forgettable tournament for the English team so far and today is their D-Day and they have to come good on this day. If they lose today they will go home, so they have to win at any cost. They can take inspiration from Pakistan's 1992 World Cup victory where Pakistan was in the similar situation and from that situation they bounced back and ended up as champions. So still little hope alive and to keep it alive England have to win. So far England's journey in this World Cup is bit scratchy. They involved in four matches which ended with unexpected results which is very rare in International Cricket. They have 5 points from the 5 matches they played so far and this is also highly unexpected of them because before the start of tournament they were considered one of the team who can lift the elite trophy on April 2 but now they are on the stage where they can be knocked-out of the tournament. I think if they win today then I believe they will win the World Cup for sure. England also plagued with injuries as half of their team was injured before the start of tournament and to add to their woes Kevin Pietersen also suffered hernia problem and left the team in the middle of tournament. English bowlers also don't look that fit and this is because of fatigue. The amount of cricket they played before the World Cup definitely affecting their bodies and mind. More than physical, it is mental fatigue which is affecting England because they did not get the time after Ashes to switch-off from the cricket and kept playing cricket till the World Cup. You need good amount of mental and physical rest before the tournament like World Cup. 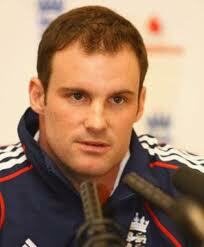 Coming to today's game, I think Andrew Strauss is key man for England. He is captain and he is their in-form batsman. Strauss have to lift his game today and have to lead his side from the front. Good innings up-front from the captain will certainly boost the morale of entire team. Strauss have to make his luck to work today in terms of toss. In Chennai team batting second always face trouble, so Strauss have to win the toss and put runs on the board. Pitch will certainly turn more in second innings and whichever team bats second will face lot of problems. Batting is not very big problem for England so far in the tournament as Trott, Bell and Bopara are in good form and their batting have been bolstered little bit with the return of Eoin Morgan and he holds the key in the death overs for England. Morgan have to stay on wicket till 50th over and have to play the finisher role with perfection because good start requires good finish as well. England restricted Proteas on the same ground last week for just 165 and won the game even after scoring 171 runs. So they take inspiration from that victory. Swann and Yardy holds the key in this match and if these two bowlers bowls well than England can think of winning this contest. So its a must win situation for England to stay in hunt. As far as West Indies is concerned, they are really not the team which they were in 70s and 80s but still they have good enough players who can win them any game on their day, so in that way one cannot count West Indies out of the contest. They have quality players like Sarwan, Gayle, Pollard, Chanderpaul and Darren Bravo who can change course of any game in a minute. Bowling also look far more better with Roach picking wickets consistently and with his speed he can do lot of damage in opposition batting. Sulieman Ben bowled well for them and he holds the key on rank turner of Chennai. So far West Indies has won against minnows in this tournament and they lost to giant South Africa, so it will be interesting to see how well they compete against England. 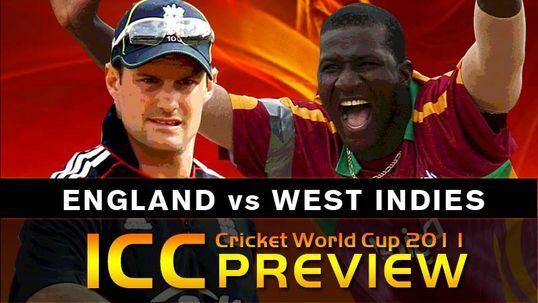 West Indies will be under no pressure today because even if they lose today they still get one more game against India, so they have to play freely and have to take full advantage of opposition's weakness and that is pressure because England will be under tremendous pressure going into this game and West Indies have to just take advantage of that. Today good contest in offering at Chepauk and its a must win game for England. If England lose today the fate will be sealed and for West Indies nothing to lose today as they will still in hunt with game under their belt. West Indies vs Pakistan series kicked-off yesterday with T20 game. Schedule and Squad. KXIP dumped Royals to register 3rd straight win. Team India finally met with an accident. Diplomacy and Cricket are not synonym. Wonderful Indian Moments from Indo-Pak ties. My site is worth$2,575.4Your website value? Software and Systems Engineer Techie who loves to explore Technology and Gadgets. Also love to share my knowledge and seek healthy discussions. I am big time Movie Buff. Love to write about Cricket & Technology. Dont hesitate to express my views on any topic. By.Abhishek Jain. Picture Window theme. Powered by Blogger.